You thought we'd stop the prize train because it's Sunday? Well, here at Android Police, we give away awesome stuff seven days a week during the holidays, so we've got a bag of goodies for you today, courtesy of RadioShack. Even in the event you do win one of the great phones we've got up for grabs today, you might want to check out RadioShack this holiday season regardless - they've got a whole bunch of phones you can get free today on new 2-year agreements on AT&T, Sprint, and Verizon as part of their holiday free phone sale. Update: If you've been holding your breath waiting for this beauty, you can breathe a sigh of relief, as it's now available at RadioShack. Woot. 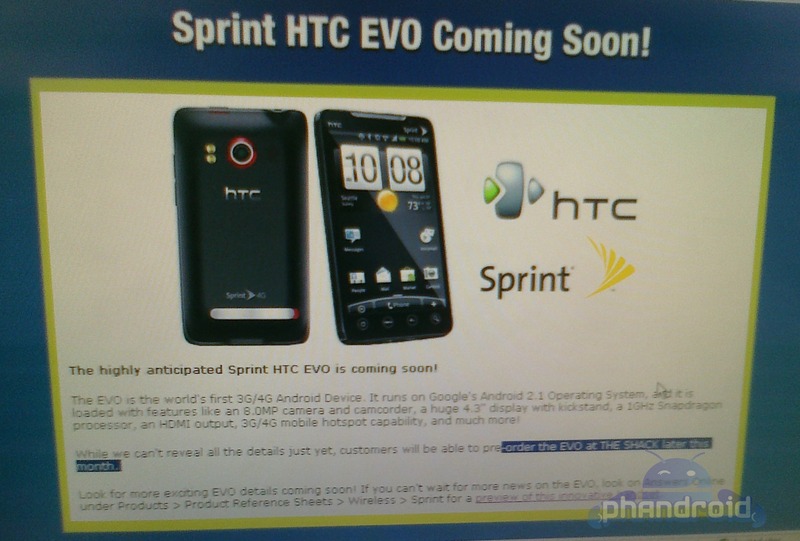 Could the EVO 3D on Sprint get even better? Well, sure - it could use a bit of Ice Cream Sandwich, but we'll remain realistic for the time being and take RadioShack's exclusive white version instead. The new sleeker, more gorgeous than ever EVO 3D variant will be coming September 9th, as outed by a screenshot posted by RadioShack's own Twitter account. 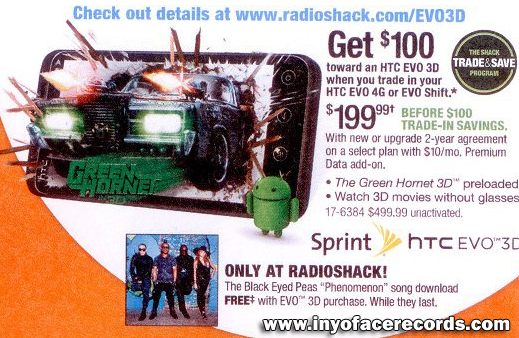 Sprint subscribers have been waiting with bated breath for news on the price of the upcoming HTC EVO 3D - and now it seems like that information is all but Sprint-official, thanks to Radioshack. 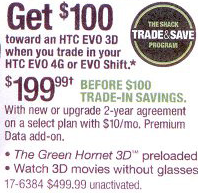 You can pick up an EVO 3D from the Shack for $200 (on a 2-year contract, of course) - trouble is, no one knows when you actually go about doing that, as there's no confirmed launch date for the EVO 3D at this point. While everyone in the U.S. is awaiting the Black Friday, the largest retail event of the year, RadioShack decided to start the party early and is kicking off its own event called Shack Friday. 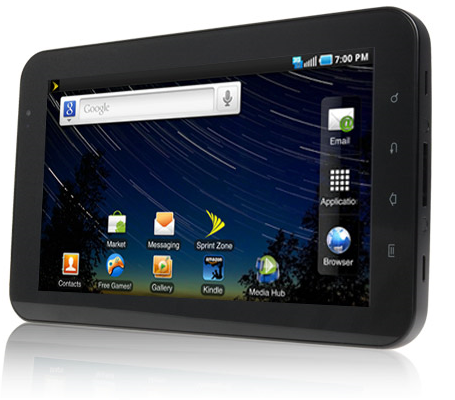 Mirroring Best Buy's and Office Max's Black Friday deals, The Shack will be offering Sprint's version of the 7" Samsung Galaxy Tab for $50 off retail, which means you can pick up the device on contract for $349.99. 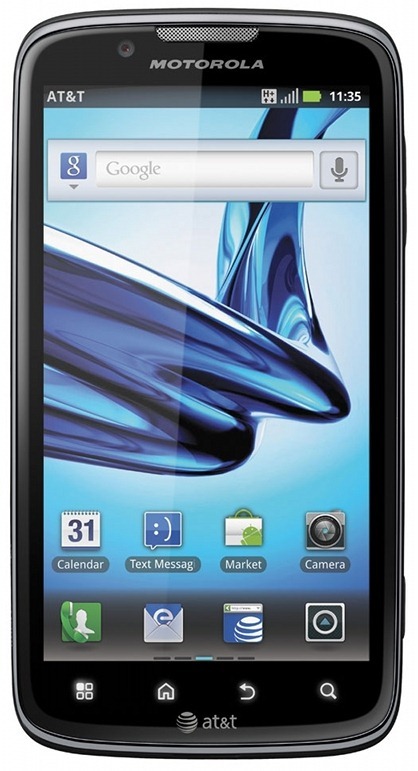 Evo 4G Available For Pre-Order At The Shack Later This Month? I spent about 15 minutes trying to figure out how I could open this post with a joke about Radio Shack’s abysmal name change to ‘The Shack’, but figured it’s well trodden ground at this point, so let’s just skip to the juicy bits: it appears that the gents over at Phandroid have been tipped off by an employee at the aforementioned Shack that Sprint’s Evo 4G should be available for pre-order by the end of this month.